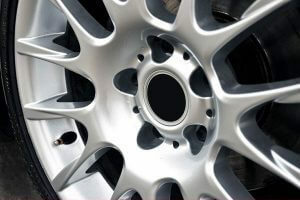 For any alloy wheel repair, Brisbane turns to Advantage Alloy Repairs. 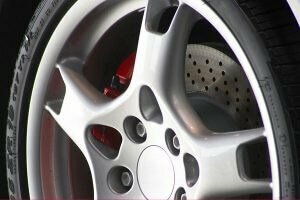 Our team have a wealth of experience in refurbishing painted, shadow chrome, or diamond cut alloy wheels. From the lightest scraps to the toughest gutter-rash, we’ll give your car the care it needs to look as good as new. Our team performs alloy wheel refurbishments all over the greater Brisbane, Ipswich and Redland Bay areas. Wherever your car needs an alloy wheel restoration, we can be there. We quote the same price for everyone – regardless of the car’s make or model. 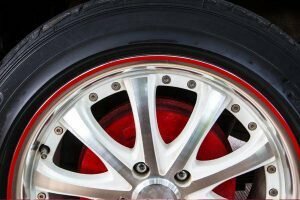 Are your Alloy wheels suffering from gutter rash? With our on site repair service we can have your wheels looking amazing again. Fill in our quote request form or send your photo/s of your damaged wheel/s as well as your name and location 0416527220 and we will supply you with a firm quote for repairs. The perfect painted wheel repair is our bread and butter. Painted alloy wheels can come in a huge variety of colours and finishes. So each of our team members have developed the skills needed to match any finish. No matter how your wheel was painted, we can have it looking brand new. The shadow finish is no mean feat. The base layer of black needs to be dusted with the shadow chrome. Done right, it gives your wheels the ‘shadow effect’. 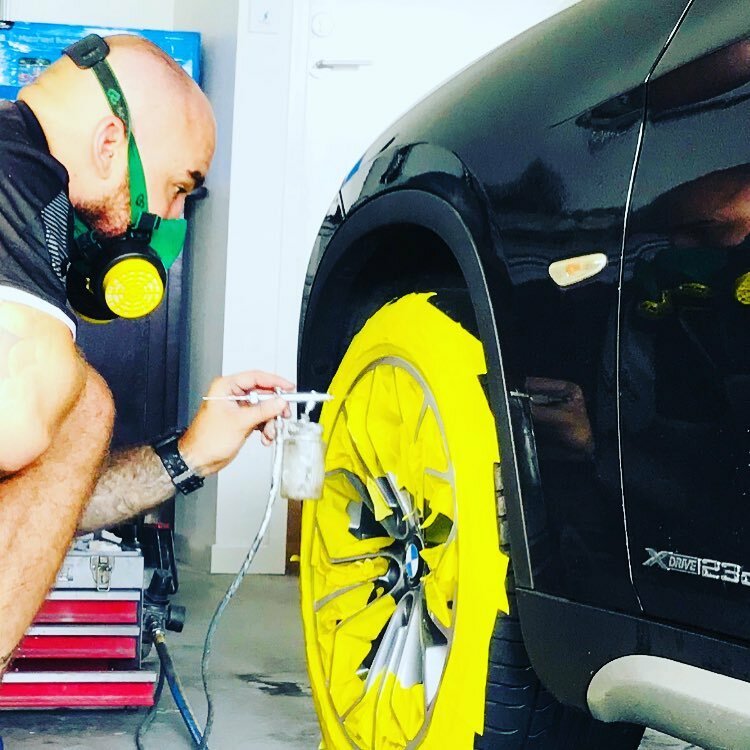 Our technicians are all highly trained, and have mastered the delicate art of applying a shadow finish while matching your wheel’s previous colour and finish. 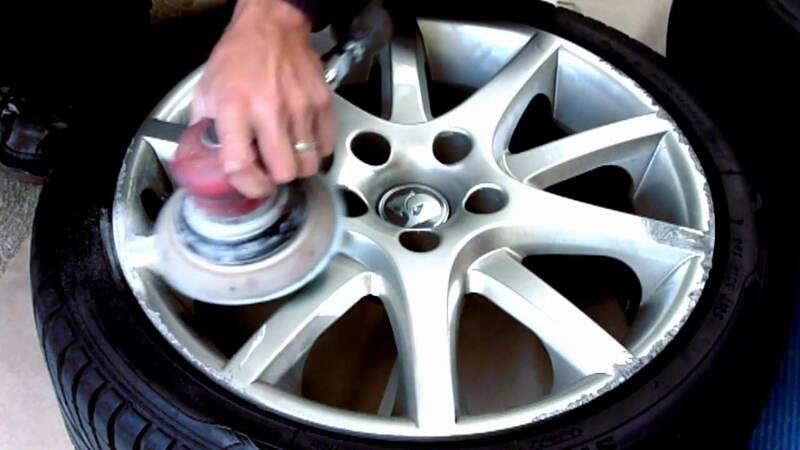 A typical alloy wheel refurbishment for a machine faced wheel involves running the wheel back through a machine. Not only is it expensive, it can cost you your vehicle for far longer than necessary. Our team focuses on removing the damage, and preparing rigorously. This gives us the platform to give your wheel a brilliant finish – without the hefty price tag.